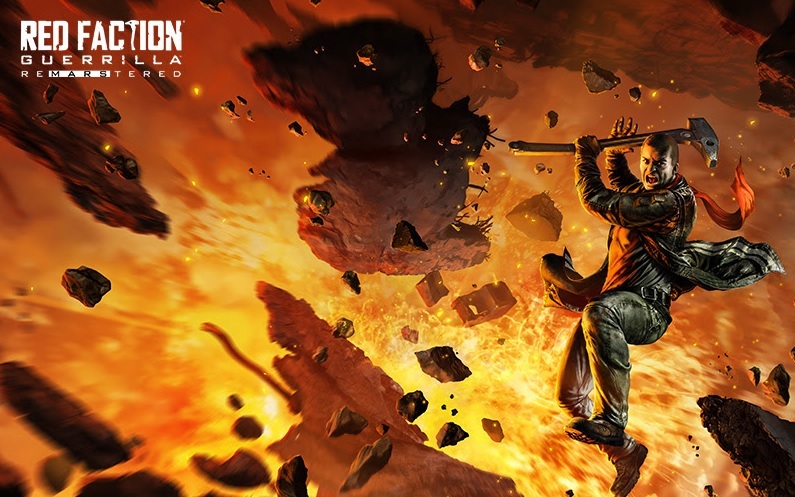 The third in the Red Faction series of games, but the first ones appearing on the 360 and PS3, Red Faction Guerrilla is certainly a welcome remaster on the current generation. The series has always been famous for providing destructible environments (long before Bad Company took the idea on) and Guerrilla is no exception, in fact it takes it up a notch. The game is set many years after the originals. Mars has been turned into a terra-formed mining colony but the heavy handed government troops sent to watch over it, The EDF, have turned into a dictatorship and are ruling the colony by the fist. Unsurprisingly, a terrorist faction (the Red Faction of the title) have risen up to fight the EDF and as your character enters it’s clear that his brother is heavily involved in this fight. Once your brother is killed the story really starts and you’re sent on mission for Red Faction. These involve destroying enemy strongholds and saving Red Faction members and civilians from the EDF. The variety of the missions keep things from getting too repetitive, though you’ll still find that after a while the destroying building missions get old. Luckily, in between these major missions are smaller goals which involve using specific tools or weapons to destroy targets within a time limit. These can be quite fun but later challenges can be quite tricky. As you complete missions you drive the EDF out and eventually take over the area, moving on to another area to clear that as you do. This does mean that you get a change of scenery after a while but sometimes it doesn’t feel different enough. Graphics in the original were nice enough, though the detail on characters isn’t nearly as impressive as some of the other open map games around and, this being Mars, you won’t get a great variety of scenery beyond the different coloured hills in each environment. The remaster improves textures across the board and makes the game look like it could almost pass for something created now, but repeating textures and those bland environments from the original can’t be as easily glossed over. The main selling point of the game, though, is that virtually everything can be destroyed in a host of different ways. The easiest way is to lob timed explosives at a wall or a pillar, get to a safe distance and detonate them. As you progress you can lob more at a time and you’ll also get new weapons to destroy the scenery with. The explosions and physics are one thing that, while not improved, look so much better in the remaster. It’s still so satisfying to blow up a building just as your enemies are walking past. Online is a big part of Red Faction’s draw. It’s not the modes that make a difference though, these are standard fare from a form of deathmatch to the standard team games like Capture the Flag mode. What sets Red Faction apart is the weapons. Checkpoints will provide a new backpack tool such as a drill to go right through walls with ease and some of the mining weapons are pretty impressive too, making this much more fun to play than in other games. Capturing a Flag by going through a bunch of walls in the enemy’s base is great fun, but you’ll need to weigh up the possibility of being crushed by falling floors above you. What let the original Red Faction Guerrilla down was the bland scenery and re-occurring missions in single player and these are still true in the remaster, but it wasn’t enough to detract from the fun gameplay then and it isn’t now, especially with a new lick of paint and a higher resolution on PS4 Pro and Xbox One X.